When it comes to earn money online most of the people think that it is possible only through having a blog site. But have you ever think that your social media account such as Pinterest can be used to earn money from affiliate marketing program. If you are wondering how you can use the Pinterest account for affiliate marketing. Is Amazon Allowing The Affiliates To Promote Products Directly Through Pinterest Account? Pinterest is the best catalog to find better ideas and being used all over the world. But a lot of people may have a question that either Amazon is allowing to place affiliate link directly on Pinterest or not? What are the main steps to earn money through Affiliate Marketing on Pinterest? Affiliate marketing is one of the best ways to earn money online if you do not you’re your own products to sell. 1. Choose your niche according to what is demanding at the present time or according to your interest. 2. Create attractive pins to promote the product that you have chosen for your affiliate program. 3. Design the best pin and place that pin on the relevant board from the collection that you have on your Pinterest profile. 4. Embed your affiliate link to the pin to make it easier for your followers to go to the Amazon’s product directly from your website. 5. Promote your pins in different group boards and ask your friends and followers to repin your posted content to get more traffic on your pins. The more traffic you are going to have on your pins the more customer you will be able to get for your affiliate products. 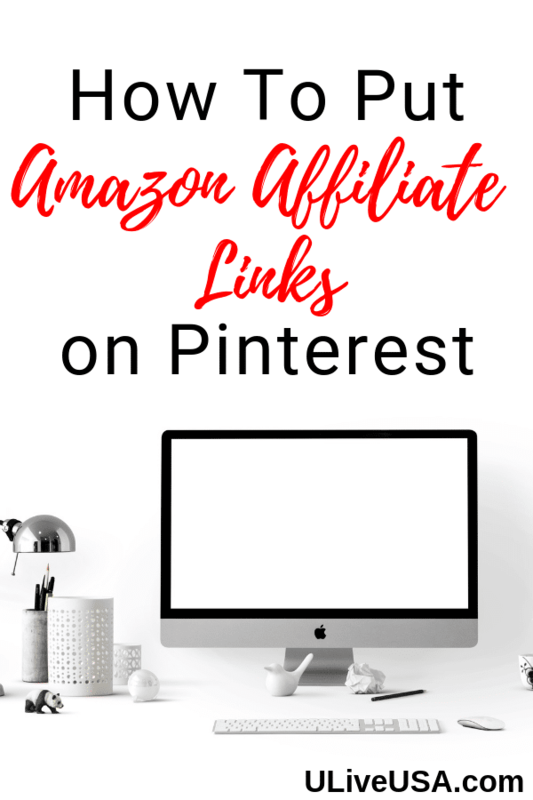 How to put Amazon affiliate links on Pinterest? 1. Go to the pin that you have posted to promote your affiliate product. 2. Click on edit the pin. 3. Then you will see a place to insert the link to your website. This is the place where you have to place your affiliate link. Note: To create a text link, you can use Amazon Associates SiteStripe. This created link will include your tracking ID or associate ID. You can copy this link it is because this includes all the required parameters in a proper way and paste that in the website field. Amazon affiliate Pinterest is helping a lot of people to earn money directly through their Pinterest accounts. As Amazon affiliate links are back on Pinterest, so, you can get this amazing opportunity to earn money with ease.